Armayau Abdulkadir is in opposition politics since 1999. Most of the Dutsin-Ma/Kurfi APC Excos (Delegates) were his political associates whom they have been together for almost 19 years. He has been assisting them, employing them, solving their daily problems, empowering them and relating with them with respect and humility. As 2019 is approaching, those Excos (delegates) form a delegation and met a lot of AY associates including my humble self to please convinced him to came and rescue the type of representation they mistakenly install during "SAK" phenomenon in Dutsin-Ma/Kurfi. I advise them to visit AY in Kaduna and explained to him their request. Evidently, most of us on this platform know, when I posted thanking AY for accepting people will to contest for DTM/KUF Reps. Ever since AY accepted to contest, the delegates made it compulsory that they will never make another mistake of voting those they don't know. 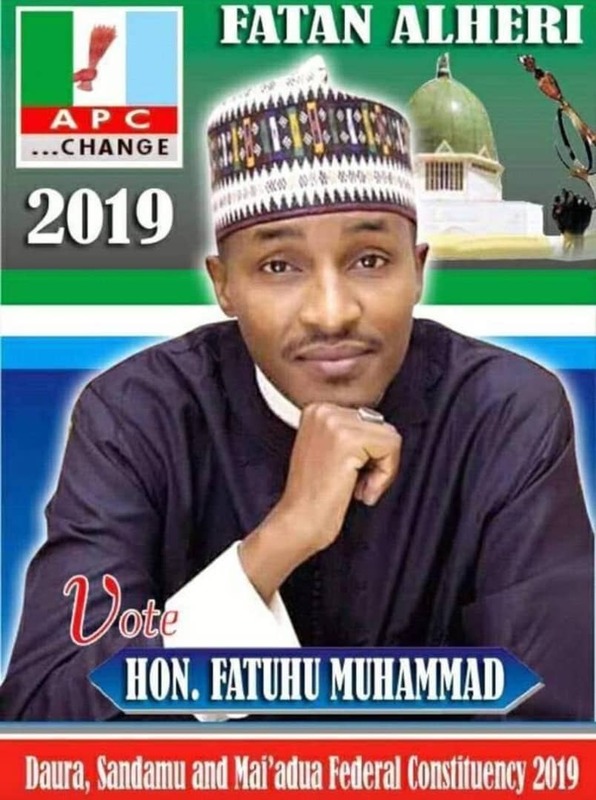 The current house reps member, Danlami Kurfi joined APC in 2014 a week before primary election and the APC delegates accepted him and voted for him. All the remaining aspirants joined politics and APC recently. One of them was Chairman of Dutsin-Ma LGA under PDP, the other ones were civil servants who started politics in 2017. AY was the only aspirant who didn't campaigned to and delegates because, they always call and assured him, he shouldn't please waste his time and resources to visit them. Even during the last week visit all the APC ward excos were saying similar remarks, that, his candidature is initiated by us, so please don't say a word to us. Yesterday 2-aspirants withdrew their aspirations because they realized that, the EXCOs still stands by their words of not voting new comers. Those saying government or individuals are imposing AY to people should please fear Allah and stop saying what they didn't know. Thank you. May Allah make it possible for AY and APC Excos of Dutsin-Ma/Kurfi to realized their goals, Amin. Long Live Dustin-Ma/Kurfi Federal Constituency.